Happy Happy Fall! My most favorite time of year has settled all around us. This post will be written in several parts, so stay tuned! The first part begins Monday morning, November 23rd. This morning I woke up with the genuine holiday spirit inside my heart; you can ask Rob. I was dancing in the bathroom 20 minutes after waking up on a MONDAY. It was also the coldest morning of the season so far- a brisk 24 when we left for work. 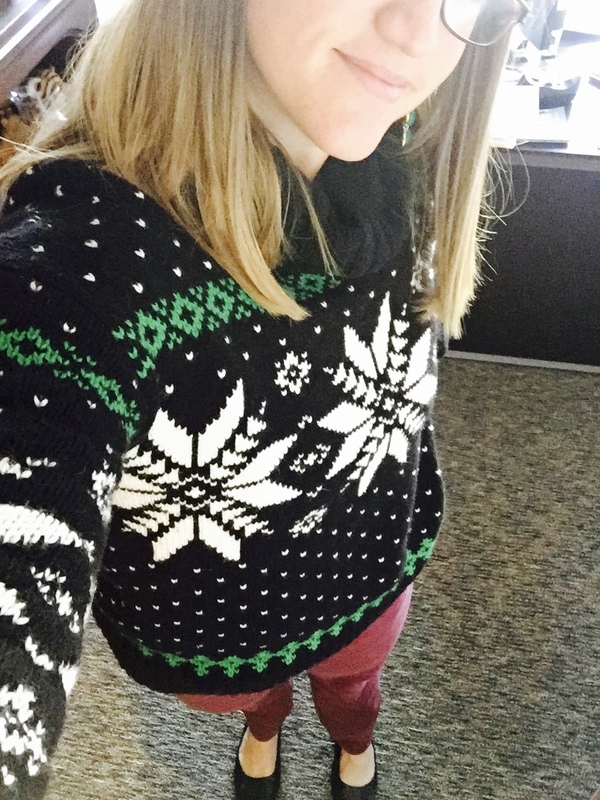 To celebrate, I’m wearing my newest Nodic winter sweater that I nabbed mega on sale at clearance Dillards. It’s a Polo wool wonderland of perfection. I need a selfie stick. Christmas ideas folks!! 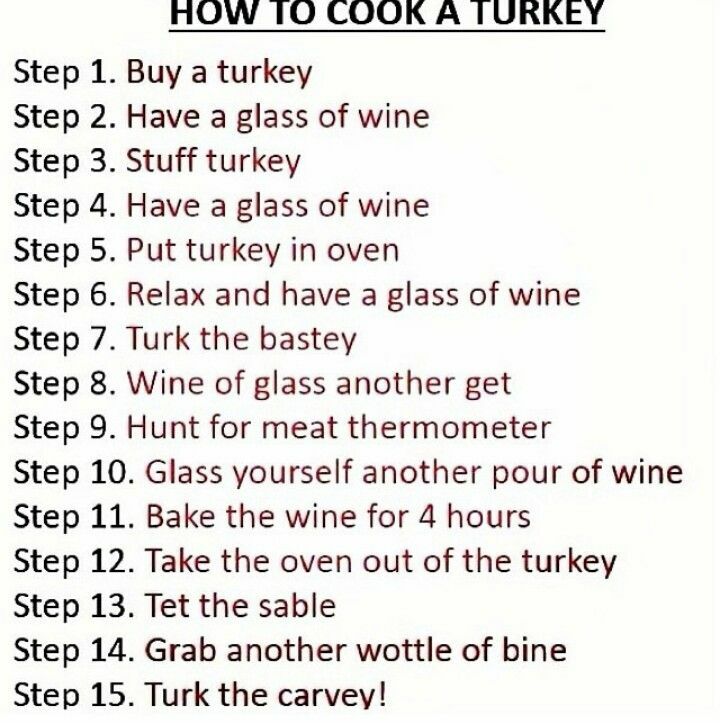 Thanksgiving is a few days away and this year I have gone from amateur to Big Leagues in one swift motion; I volunteered to do the turkey for our family. The more I think about it, the more it feels like a right of passage of some kind. The last several years I have done multiple side dishes, desserts, breads, snacks, you name it. All are home made and all are important. 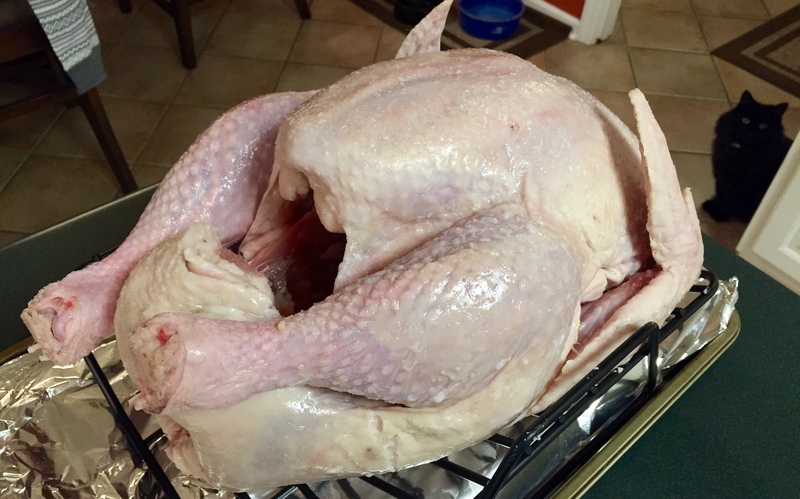 But I wanted to know what it felt like, as a grown adult woman, to cradle an uncooked 20 pound bird body and feel nervous and slightly overwhelmed/grossed out. 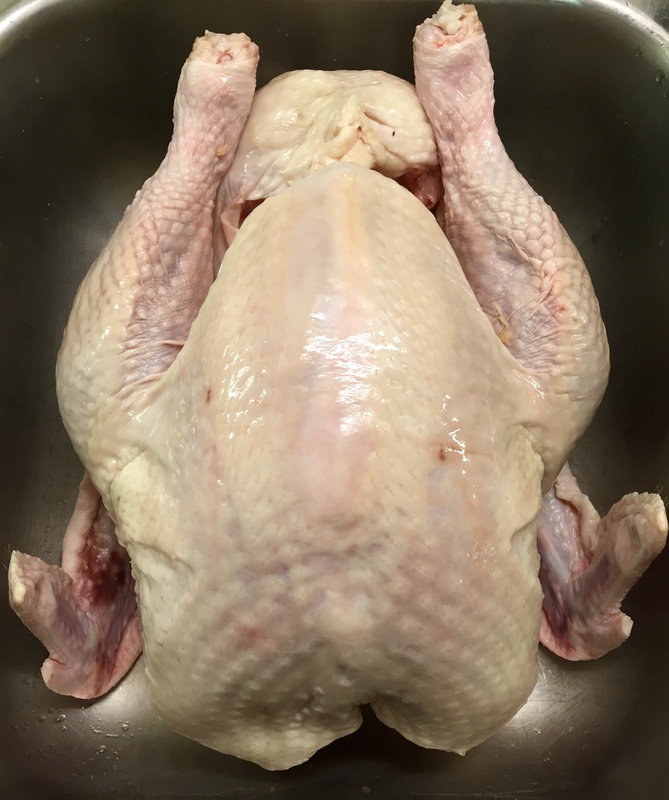 So, Charles sits at home in the fridge waiting for me to dry brine later tonight. (I named him Charles). So tonight Charles and I got to know one another and it began like all lasting relationships do; getting naked. 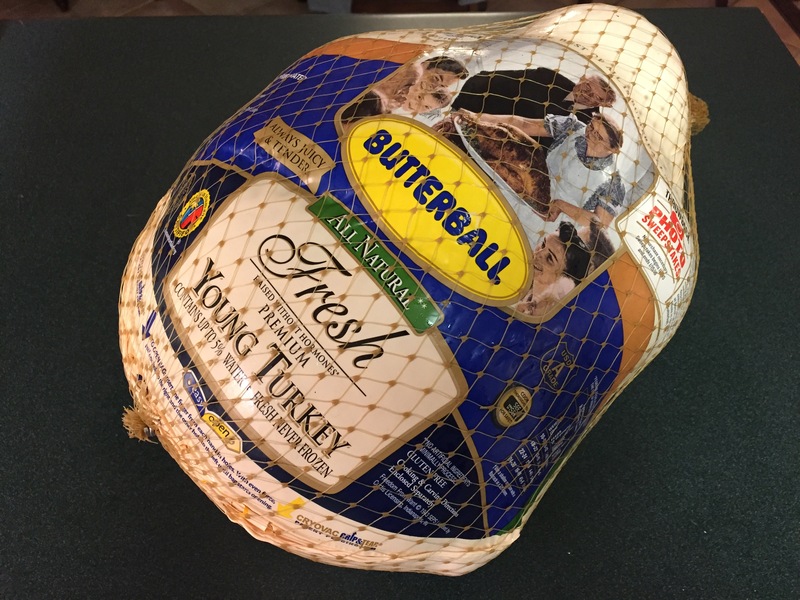 I chose this turkey because I touched it first at Costco. 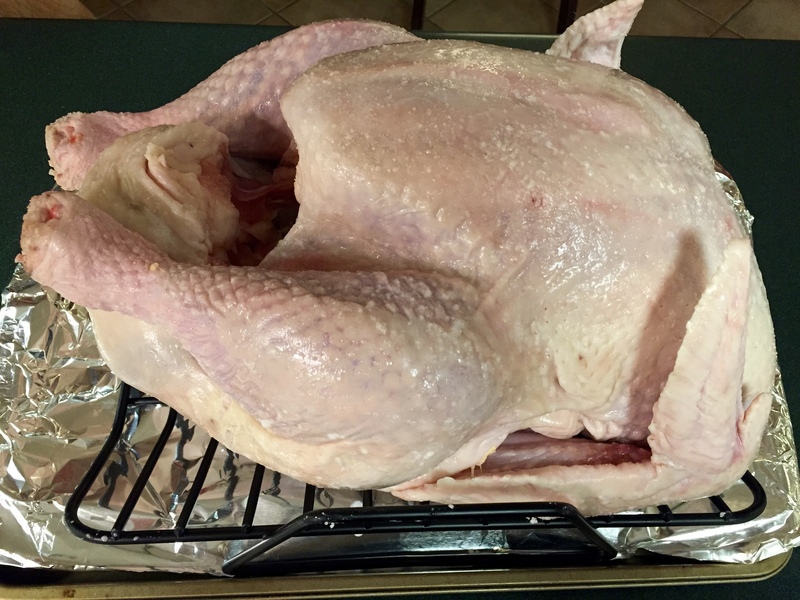 I have no idea how many pounds of turkey is appropriate for a Thanksgiving of 6 people. I have a feeling a out kicked my coverage a little but oh well. Go big or go home right? Charles’s fighting weight is 20 pounds. 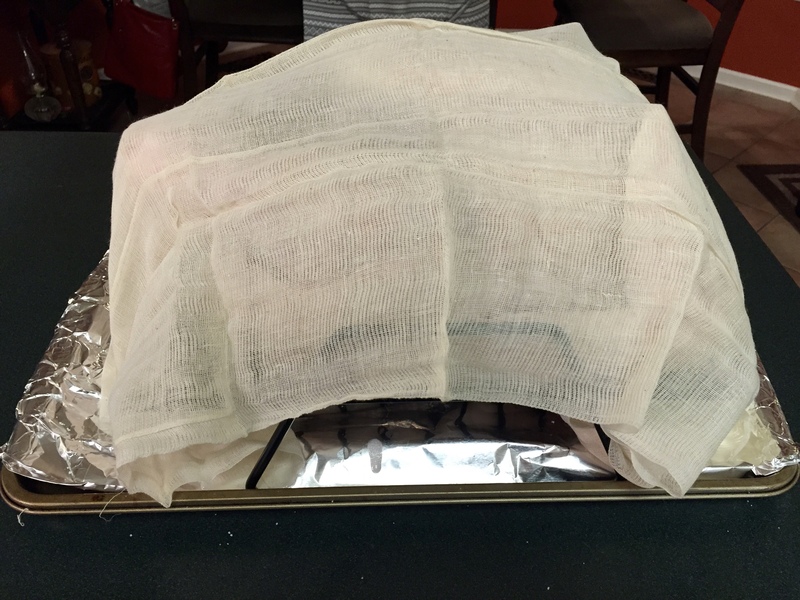 After a lot of research we decided that we wanted to dry brine our turkey. Nothing against traditional brines, but I wanted to flavor the bird without infusing it with excess moisture. So, I read a lot about what these guys have to say and went with the traditional dry brine: Salt and Baking Powder. I let Charles hang out in the sink so I could admire him. I sprinkled the dry brine mixture all over per the instructions. It felt very “Scarface-esque” with the baking powder. After the brine settled, it looked like this. Sneak was heavy breathing while I worked, never far from sight. Once Charles was coated as best I thought he should be, I covered him with his night sheet and sent him to bed in a cold, dark fridge. (It’s just a cheese cloth loosely draped). There my mummy bird will stay until Wednesday afternoon (should be just under 48 hours total). More to come Wednesday 🙂 I’ve had two glasses of wine and have moved onto whiskey and it’s only Monday night. It’s the most wondderrffuull time, of the yeeeaaaarrrr!